Have you ever thought of using a yoga pillow or bolster but you’re not too sure if it’s worth it? After all you don’t want your new hobby to eat into your budget. What if it’s a waste of money? Important note: Bolsters will never be a waste when it comes to yoga. You want fast growth and quick results and these will get that for you. We can tell you they’re very handy and helpful. In this super in-depth article we are going to show the best yoga bolsters for 2018, so that we can save you the time of going out and waisting your money on the wrong yoga bolster for your style and flow. Yoga bolsters work great for beginners and experienced yogis alike and will improve your abilities in no time. Yoga bolsters offer different advantages such as supporting your joints while you’re stretching and supporting your spine. Once you try them out, you won’t want to do your yoga routine without using a bolster again. Let’s outline some details so you can make the best decision when buying yours. There are so many different types of equipment available that it can easily leave you confused when walking down the shops’ aisles. And with these items having such unique shapes and applications you probably won’t know what you’re looking at. Bolsters are long and firm cushions. They’re designed to be placed under your back for support while stretching and posing. Yoga bolsters are also used to sit on to support your knees and ankles. These bolsters work great for prenatal yoga or for people who suffer from lower back and joint pain. Yoga pillows are used to support your neck and shoulders. Yoga eye pillows are smaller and improve relaxation when it’s time to unwind or meditate. ​A zafu is a small round pillow that you can sit on during meditation. It’ll lift the body up slightly to support joints and ankles. It can be used on top of a Zabuton. A zabuton is a flat and square mat that you can sit on during meditation. It provides extra padding to take pressure of your knees, ankles and back. Can you see how these small adjustments can enhance your next workout? Of course these units will be used in collaboration with other props. Always make sure they complement each other. The right pair of yoga pants will leave you comfortable and flexible. It’s extremely important to invest in a good pair of yoga leggings that will last long, won’t leave you feeling too hot during the yoga session and suits your body. Check out the Complete Buyers Guide to The Best Yoga Pants of 2018. Layering is one of the best ways to dress for a yoga class. One top should always be tight fitting to keep you covered at all times, since you’ll be attempting some poses that turn you upside down. Yoga is best done barefoot so socks are not always a necessity. However if you feel uncomfortable to be barefoot in front of other people you should invest in a pair of yoga socks. These socks offer more grip than regular socks to prevent you from slipping. They’re also wise to use if you’re concerned about hygiene. A yoga mat allows you to have extra cushioning and support. It also creates a personal space for you to do your poses making you feel more at ease and comfortable. For more advanced poses it also affords some grip. Now imagine matching your accessories, bolsters and your outfit. Apart from looking great, such preparation and aesthetic value could motivate you for the next tough session. You’ve heard about yoga bolsters improving your posture and assisting in your performance. The Sukhasana or easy pose (don’t let the name fool you) is where you sit crossed legged on the floor. Sitting on your bolster with your legs touching the floor it can offer support and help you maintain your position. As you exhale you’ll be resting your head on top of the bolster. This will open up your ribs and lungs allowing you to breathe better. It’ll also offer extra support in your neck and spine area. This pose can cause back pain if done incorrectly and that’s why a bolster works wonderfully with this pose. Place the bolster between your knees whilst in a kneeling or sitting position against a wall. You’ll push your chest upwards inhaling and exhaling slowly. The bolster will offer you lower back and spine support. This pose is where you’ll be lying flat on your back on the floor. This can be very uncomfortable especially if you have back injuries or if you’re pregnant. Place a bolster underneath your knees to relieve tension and strain form your back. If you want to know where to start, have a look at this informative video on using a bolster to open up your chest muscles and relieve back and neck ache. Using yoga accessories isn’t a necessity. Yoga can be done anywhere without any equipment. But accessories can help to improve your yoga routine, posture and overall performance. They’re definite investments in your health, but don’t simply buy anything. Consider these tips to get the most out of your purchase. Smaller than a round bolster and are used during breathing exercises. These are large in size and can be placed under the knees and under the upper back. They’ll help you breathe deeper and better. Rectangular bolsters also called standard bolsters are designed with flat surfaces. These are mostly used in supportive positions. Why this focus on support? This is not about helping yogis who are weak but rather supporting growth. A bolster can provide assistance while you develop flexibility or muscles. Alternatively it gives you the support to protect body parts. In all these scenarios you’ll be enabled to do more, believe in yourself more and develop the necessary abilities to reach your yoga goals faster. You’ll be using your bolster often so make sure that you can clean it properly. What does the brand say about maintaining its condition? Some yoga bolsters will have removable covers that are machine washable making cleaning easier. Sponge bolsters are usually only spot cleaned using mild detergents. Always wash your covers in cold water and air dry unless the product states otherwise. Your bolster should be firm enough to support your every move. If you select a stuffed bolster you should change or fill up the inner padding as needed. A yoga bolster or pillow should never lose shape. Here you need to look at the quality. It may be firm now, but is the substance used durable so that it maintains that form over time? If you can make adjustments or add stuffing when needed it’s a terrific option. It will also save money over time since you won’t have to buy new ones. Quality exceeds quantity. Your bolster should be able to take rough handling without showing wear and tear. Here’s it’s best to look at market-leading brands and also the warranties attached to each item. Although yoga bolsters can be very stylish and fashionable the most important feature to look out for is durability. Inspect the seams of the cover to make sure there are no weak points or poor stitching. The main fabrics used for removable covers are usually cotton or polyester. Both of these fabrics will work perfectly fine on your bolster. Yoga pillows or bolsters will have a filling made from cotton or buckwheat. Cotton usually offers a firmer surface. There’s no right or wrong here. Your selection will greatly depend on your preference as they smell different, feel different and have unique lifespans. You’ll be carrying your yoga bolster around so a handle is always a helpful way of ensuring easy traveling. Make your workout as easy as possible by purchasing user friendly items. Some bolsters will have a handle on each side and others will only have one handle on top or on the side. Handles are great as long as they’re not in the way, don’t curb your movements and don’t cause frustration in terms of their placing on the unit. If you can’t get comfortable because the handle is in the way, you’ll never use that bolster. We said quality is important. That doesn’t mean you should break the bank. Compare the bolsters in different price ranges and select the better one. You’ll be surprised to know that it’s sometimes the more affordable option that fits all the requirements. Reading reviews from other consumers are also a great way of selecting a bolster even if it’s a cheaper option. Remember you may not like the features other people want. Why pay for them if you’re not going to find them comfortable or even use them? Some brands offer wide ranges of different colors you can select from. Keep in mind that you’ll come into direct contact with your bolster every time you use it. Lighter colors might be a nuisance to keep clean or to hide stains. 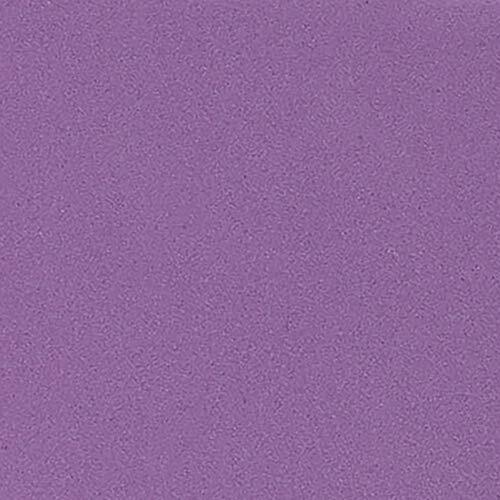 Rather select a darker color that’ll look newer for longer but make sure it won’t leave residue on your skin or clothes. Bolsters will differ greatly in size. Knowing beforehand what you want to use them for will help you select the right size. If you’re getting a bolster specifically for your lower back you’ll select a round bolster. Round bolsters can be longer in size and shape. The weight will depend on the fabric and stuffing used inside the bolster. Are you convinced yet that this is for you? Let’s help you understand the bigger picture. Yoga bolsters offer different benefits and are not just for new yogi’s as some might believe. It relaxes your body and relieves stress: Yoga bolsters stimulate the nervous system and support the body during restorative yoga poses resulting in ultimate stress relief. 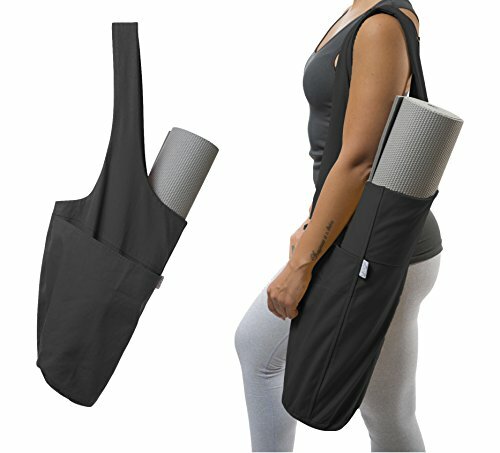 Supportive: Bolsters are great to use for anyone with back, knee or hip injuries. It also supports you to achieve poses that’ll usually be nearly impossible or cause pain. Reduce inflammation: Yoga bolsters take the strain of standing or sitting on inflamed muscles or joints. Better posture: When you’re using bolsters you’ll be correcting your posture over time. Since yoga is about healthy lifestyles isn’t it best to optimize your life with these characteristics? So let’s choose the best one for you. The YogaAccessories round cotton bolster offers a lightweight design with a handle on both ends to make it easy to carry around. The cover is removable and machine washable so you can have a clean hygienic bolster all the time. This bolster is firm and comfortable to use and perfect for prenatal yoga. It’s available in different colors to suit your style and preference. Care instructions: Remove the cover and wash in washing machine on cool or cold gentle wash.
Use a mild detergent and air dry only. Spot clean the core with a mild detergent when necessary. The Gaiam yoga blocks offer balance and stability for optimal support. The blocks are twice as dense as standard blocks yet lightweight. These blocks are fashionable and stylish and you’ll have a variety of colors to select from. The nonslip surface will ensure you’re safe and steady with every stretch. Care instructions: Spot clean with a mild detergent if necessary. Towel or air dry only. We love this stylish REEHUT Zafu yoga pillow bolster. It’s available in five beautiful colors and three different sizes. The carry handle allows you to carry and transport it easily. The hemp or cotton cover is removable and machine washable to make cleaning easy. The inner cushion made from buckwheat is covered inside a pouch so you can easily remove and insert it after washing the cover. 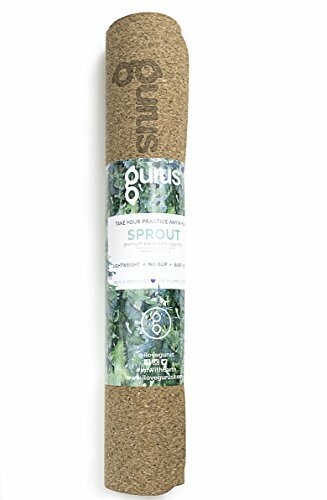 This organic cushion bolster will relieve stress on your joints and improve your posture. 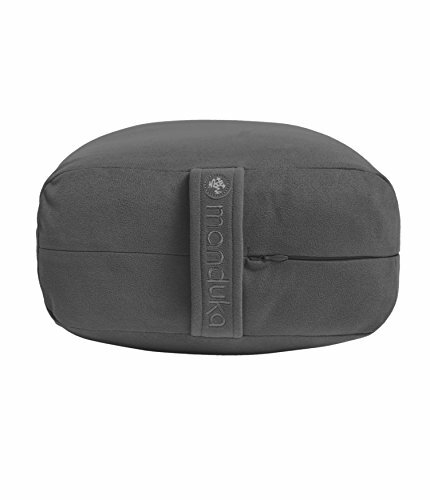 It’s even great for use inside the yoga class or at home to casually sit on. The foam wedge offers a lightweight and comfortable support while you’re stretching. The tapered edge offers you extra comfort. The foam is non-toxic and scratch resistant. It’s available in two colors. The YogaAccessories wedge prop is durable and high quality. Care instructions: Spot clean using a cloth or sponge. Don’t use any harsh chemicals on the wedge. Size: 20”long x 2”tall x 6.5”wide. The eQua micro fiber fabric cover will absorb moisture so you’ll be able to enjoy a dry and comfortable workout. The design is stylish and fashionable. The handle and lightweight design make traveling easy. The removable cover allows for easy cleaning. This bolster is soft and luxurious. 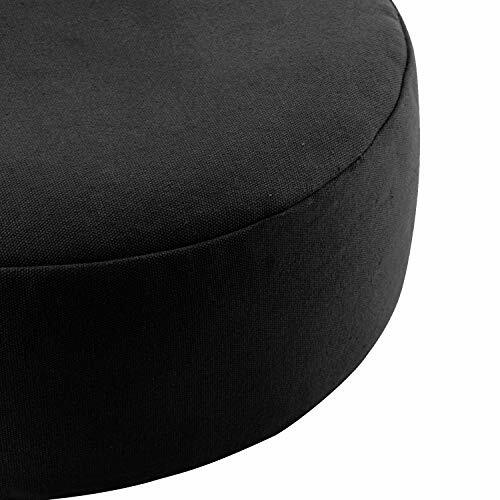 It’s small enough to carry around but large enough to sit on during meditation. Care instructions: Remove the cover and wash in the washing machine without using harsh chemicals. Then leave to air dry. Our pick for the best yoga bolster is the Yoga Accessories supportive round cotton yoga bolster. Why do we love it so much? It’s lightweight and firm. The handles make traveling easy. The removable cover can be machine washed and air dried. The bolster is top quality yet affordable. With many different color options there’ll definitely be something for anyone’s liking. The Yoga Accessories bolster offers optimal support, relaxation and comfort. It’s a plain design that offers all you need in a bolster. Investing in a bolster will be an investment in your wellbeing. Extra yoga accessories like these will help you create a place of Zen and tranquility when you’re doing yoga. Are you ready to go to your happy place?